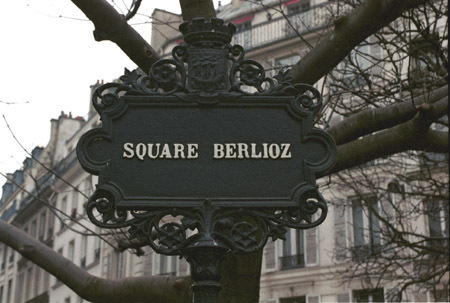 At the top end of the rue de Calais, there is a small square with a stone statue of Berlioz in the middle of the garden. 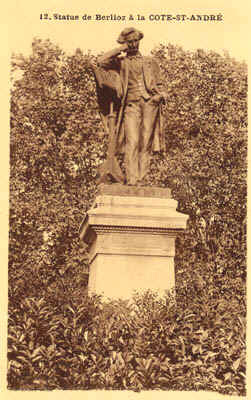 The original, which was much more life-like than the present one, was made of bronze, but is not extant. 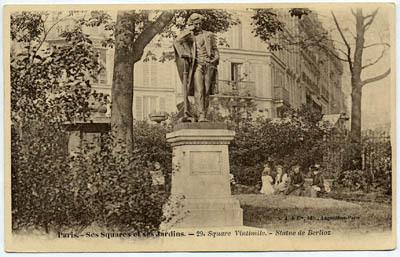 That statue was unveiled in a ceremony held on 17 October 1886; the square at the time was called Square Vintimille. 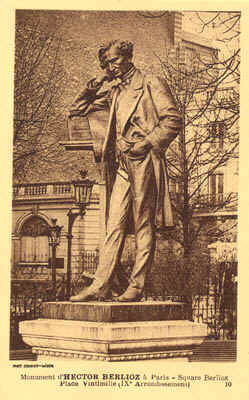 The speech was delivered by Ernest Reyer, a friend and champion of Berlioz. 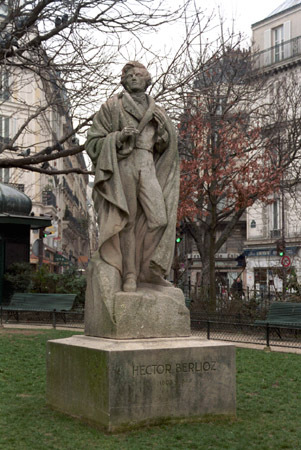 A fine copy of the original statue was erected in honour of Berlioz in the Place Hector Berlioz at La Côte Saint-André in 1890. 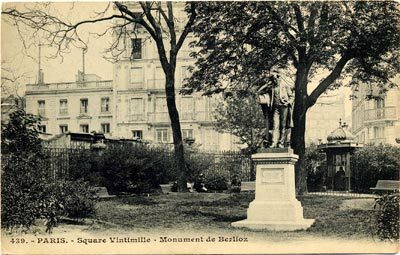 All the modern photographs reproduced on this page were taken by Michel Austin; other pictures have been scanned from old photos, postcards and books in our own collection. © Monir Tayeb and Michel Austin. All rights of reproduction reserved. 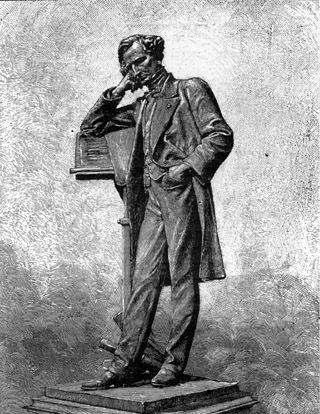 This picture has been scanned from: Hector Berlioz: Sa Vie et ses Œuvres, by Adolphe Jullien, 1888, Paris: La Librairie de l’Art. 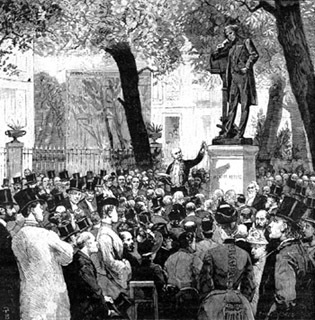 This engraving has been scanned from Hector Berlioz: Sa Vie et ses Œuvres, by Adolphe Jullien, 1888, Paris: La Librairie de l’Art. 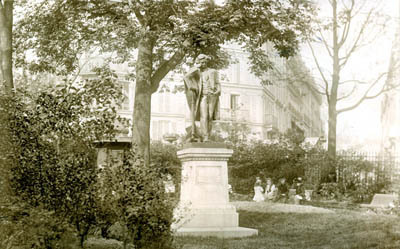 This photograph was taken in 1900. This is an early 20th century postcard. These are early 20th century postcards.